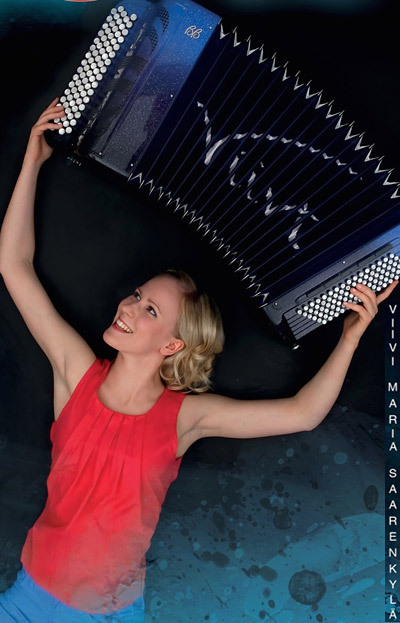 Viivi Maria Saarenkylä (born in 1993) is an award-winning Finnish accordion artist. She got her first accordion at the age of 6 and 10 years later, the young accordionist became known in her home country after winning the Finnish Championships for entertaining accordion music in 2010. The competition known as Kultainen Harmonikka was a popular TV show broadcast live on the main national TV channel. The next year Viivi Maria started to study variété-music in Italy with maestro Renzo Ruggieri and currently she is also completing a professional diploma at the Pop & Jazz Conservatory of Helsinki. 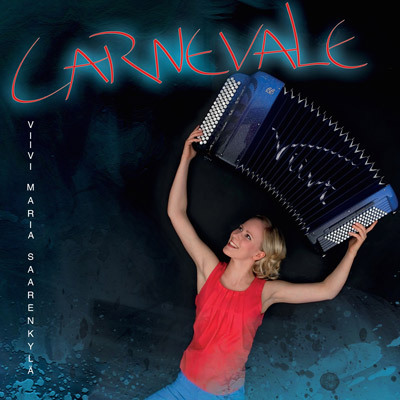 In recent years Viivi has participated in many international accordion competitions around the world winning the 1st prize of the prestigious PIF Castelfidardo in 2014 in the Senior Variété category as her latest achievement among many other successes. The young accordionist has performed solo as well as in several bands and groups in Europe, Japan, Ethiopia, Canada, China etc. 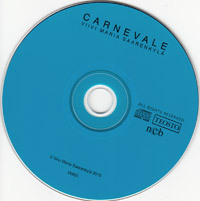 Carnevale is Viivi Maria Saarenkylä's first solo album. 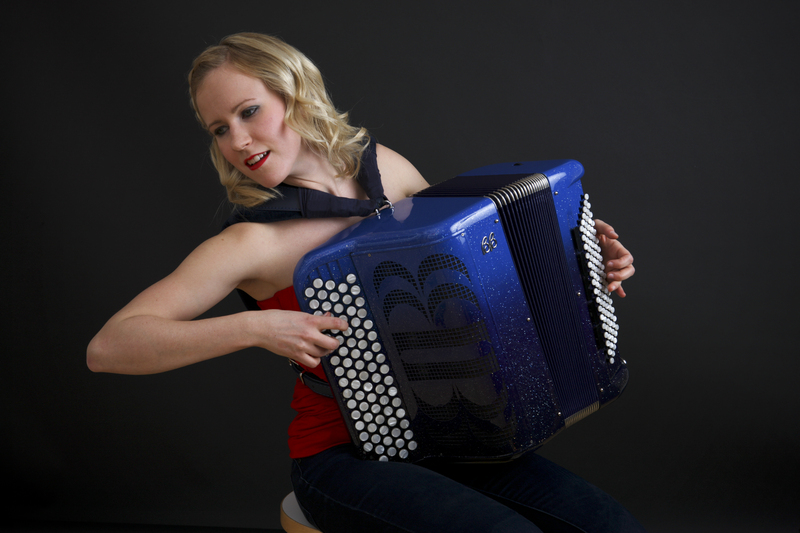 It is a fascinating selection of virtuoso music from jazz to tango and from pop music to new Finnish folk music. Most of the songs are composed and arranged for international accordion competitions, some exclusively for Viivi Maria. Eric Soum (guita), David Petrocca (double bass), Didier Hoffmann (drums). Violins - Federica Vignoni, iergiorgio Troilo, Chiara Leonzi, Desiderio Clara, Alessio Giuliani, Alberto Fabiani, Letizia Biondi, Maria Letizia Massetti. Violas - Luca D'Alberto, Chiara Piersanti, Piero Montebello. Cellos - Antonio D'Antonio, Beraha Roni. Double Bass - Emiliano Macrini. Click the image to view or download a large 7MB print quality picture.